Who's up for a boozetastic brunch! Mrs. Lilien is! Thanks Elements of Style for the bubbly round-up! What a great round-up. I would love to own a bar cart like that! so cute! I want that brunch! I found you today as well, thanks to Mrs. Lillian! 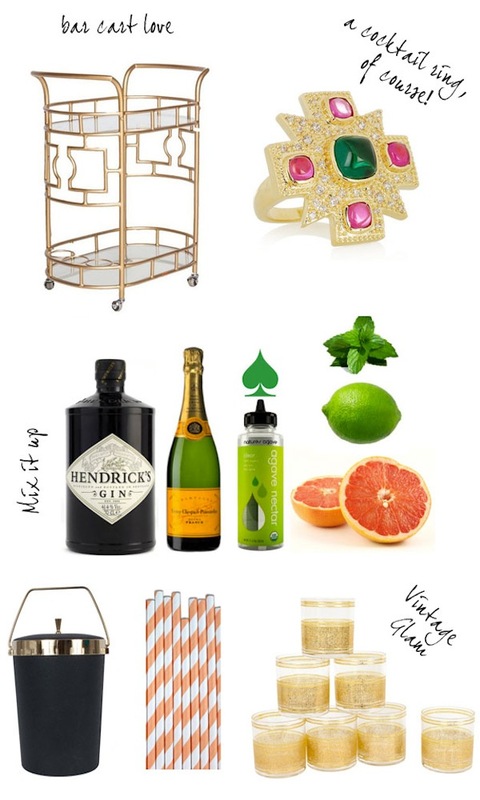 I love her bar cart…sooo cute and your site is to die for! I've just discovered you today and I love your style and point of view!